Home » Uncategorized » The Child Tax Credit Changes for Your 2018 Taxes! The Child Tax Credit Changes for Your 2018 Taxes! Children are expensive, but luckily they can give you a break — a tax break of course. With all of the changes that the 2018 tax year brings us, the Child Tax Credit (CTC) is one of them. Whether you’re a parent, grandparent, or guardian, when tax time comes around you can claim your dependents to your advantage. Here’s what you need to know for this tax season. Who qualifies for the CTC? The child is your son, daughter, stepchild, eligible foster child, brother, sister, stepbrother, stepsister, half brother, half sister, or a descendant of any of them (for example, your grandchild, niece, or nephew). You provided over half of the child’s support for 2018. The child lived with you for more than half of 2018. You claimed the child as a dependent on your return. The child does not file a joint return for the year or files it only to claim a refund of withheld income tax or estimated tax paid. The child was a U.S. citizen, U.S. national, or U.S. resident alien or adopted child. What’s new for this tax season? In order to claim the CTC or ACTC, your qualifying child must have a social security number valid for employment. You will need it before the due date of your tax return (April 15, 2019) or the extension due date (October 15, 2019) of your return. On the other hand, if your dependent has an Individual Taxpayer Identification Number (ITIN) you can claim a new nonrefundable credit. This nonrefundable credit is the other dependent care credit (ODC) that goes up to $500 for qualifying children who are not eligible for the CTC. This year, taxpayers are in luck with the CTC and ACTC. The CTC increases to $2,000 and the ACTC increases to $1,400 per qualifying child. On top of that, the AGI phase-out threshold for the CTC increases to $400,000 for joint returns and $200,000 for individuals. Additionally, the earned income threshold for claiming the ACTC decreases from $3,000 to $2,500. However, if either the CTC or ACTC for years after 2015 was reduced or denied for reasons other than a math or clerical error, taxpayers are required to attach Form 8862 to their tax returns unless an exception applies to them. If you’re claiming the ACTC, refunds will be delayed. The IRS will not process refunds due to the Earned Income Credit (EIC) or the ACTC until after February 27. Similar to last year, these refunds will undergo an extensive review for accurate refunds and prevent potential fraud cases. For taxpayers who make an improper claim for the CTC, ODC, or ACTC, they will not be allowed to claim any of these credits for 2 years. The IRS takes fraud cases seriously. If they determine a fraud case, taxpayers will be subject to penalties and cannot claim any of these credits for 10 years. Finish your taxes early this tax season. 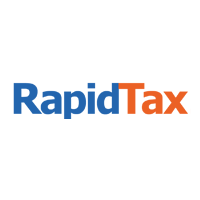 It only takes 10 minutes to e-file with RapidTax. All you need to do is enter your 2018 tax information and submit your account for e-file! Previous PostPrevious How to E-File Your 2018 Taxes & The New Tax Changes! Next PostNext What is an Identity Protection PIN (IP PIN)?